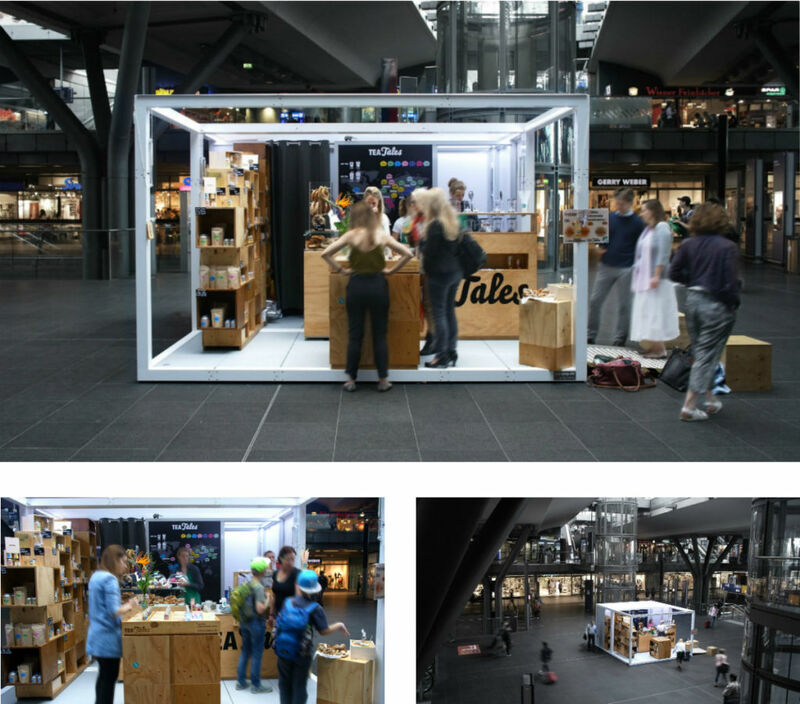 The prize of the Next Station competition of the Deutsche Bahn offers young entrepreneurs the chance to test their products inside the station. For TeaTales, the program was a complete success: “We got very positive feedback, it was a great learning process, we had a good turnover,” says Nina Schröder. “Our customers behaved very differently depending on the time, the day and the weather. In the first week of June, when the heat wave came, everyone wanted ice tea and one of our new summer teas was sold out immediately; when it got cool, the hot teas were all the rage. In the morning, we sold tea to go; after hours and on Sunday, teas were usually bought for presents or for home. We try so encourage people to live healthier lives, so I was personally delighted that the ice teas went so well. When they are prepared fresh and using high-quality tea, they are delicious without any use of sugar.” We are happy for the young entrepreneurs and wish them the best of luck.